Iceland do a range of Slimming World ‘ready meals’ so I’ve been putting them through their paces to see if they really stack up or fall on their face! 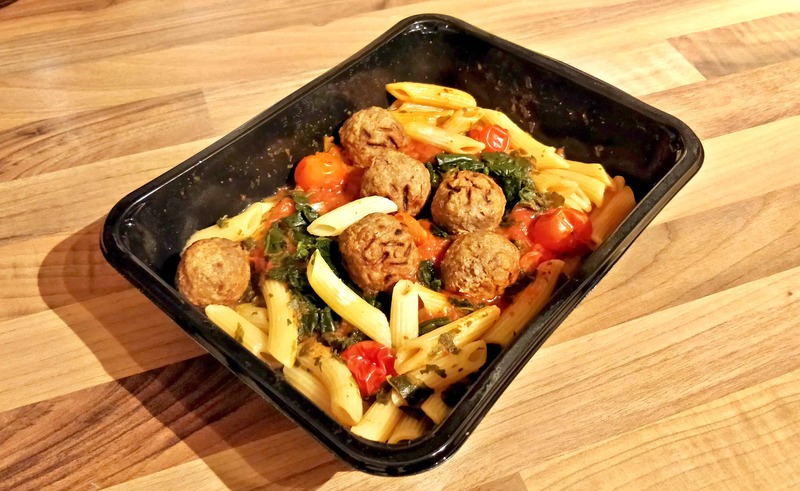 This week I tried the Slimming World Meatballs & Pasta with a Spicy Tomato Sauce find out what I thought below. 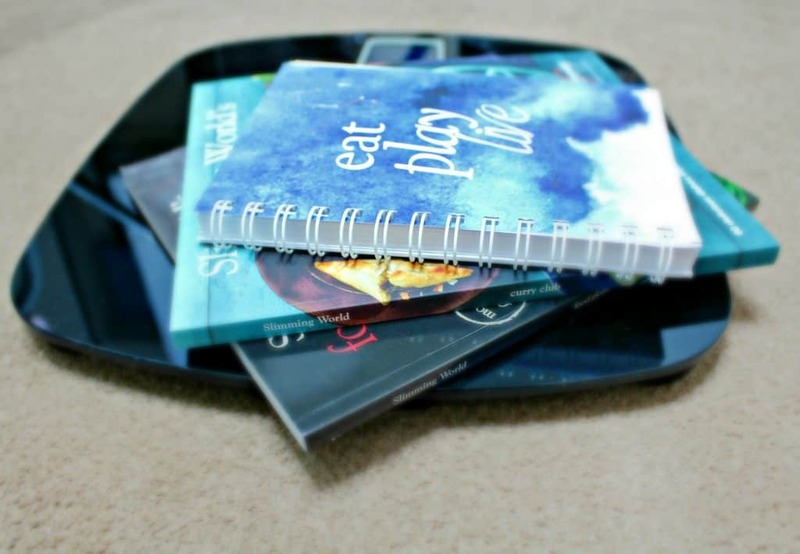 Slimming World – Why it can Fail..
Slimming World is all about lifestyle changes which is a big driving factor into why it works. The basic principles set out in the plan mean that you can learn to make better, more informed choices about your diet. I find this much more useful in terms of longevity of weight loss because it’s something you can carry on. Diets that incorporate meal replacement shakes for example often fail once you reintroduce food because you haven’t changed your behaviour to food in the long run. This means that Slimming World is largely about being able to have the same foods we love and enjoy just cooked differently. So this often means cooking a large proportion of food from scratch which is great because we know exactly what’s going into every single meal. I always say the key to success with Slimming World is preparation! If for example like me you are a busy, working parent the prospect of cooking a meal from scratch at 6pm in the evening when you are exhausted loses its appeal pretty quick. It’s at this point that people begin to fail or fall of plan because reaching for a much easier food is a much better option when you are starving after work! One of the best ways to combat this is to batch cook Slimming World friendly meals in advance storing them in the fridge or freezer as appropriate. Having something on plan that you can just heat up will help prevent reaching for the takeaway menu or binge eating a multi pack bag of crisps – we’ve all been there! A great alternative to batch cooking or preparing in advance would be the Slimming World ready meals available from Iceland. These are a great option to have in the freezer for when you are short on time but what do they taste like. It’s all well and good having a handy on plan alternative to cooking but if it tastes like a cardboard box it’s not going to stop you binge eating or falling off plan. Honestly I’m not a big ready meal fan. I just prefer great tasting food that has that fresh edge and I find that a ready meal loses that. Often, they are tasteless or bland and at times you can tell they have been frozen. That being said I was open minded about the Slimming World Meatballs & Pasta after all if it would save me from having to cook from scratch some nights that’s not a bad thing. The meal is easy to prepare with simple to follow instructions printed on the back of the package. You simply pop it in the microwave and you are good to go. I thought it was a nice touch that printed on the back of the packaging is the actual recipe for the dish if you wanted to make it yourself. Ready meals are obviously more expensive than cooking from scratch so this is a great way to recreate the dish if you enjoy it without having to fork out the extra expense each time. The meal is completely free and of course amongst that free food is some speed but it’s still best to serve this dish alongside a third of speed food like you would any other Slimming World meal. I had mine with a side salad and I would say that you could split the meal between two if you have a generous salad or vegetable portion on the side. Taste wise I was actually really impressed. The meatballs didn’t have that frozen taste that some ready meals have and because the tomato sauce was spicy it wasn’t bland or lacking in flavour. That being said it complemented the dish well and wasn’t over powering or ‘too much.’ It was nice not having to work out the syn content and because it’s a Slimming World product you know you can trust the measurements. I think the Slimming World Meatballs & Pasta were really tasty and a great alternative to cooking from scratch if you are in a bind. My main frustration is that they are only available from Iceland and I don’t really have one that close to where I live. That being said Iceland do offer delivery and because the meal is frozen you can stock up without worry. 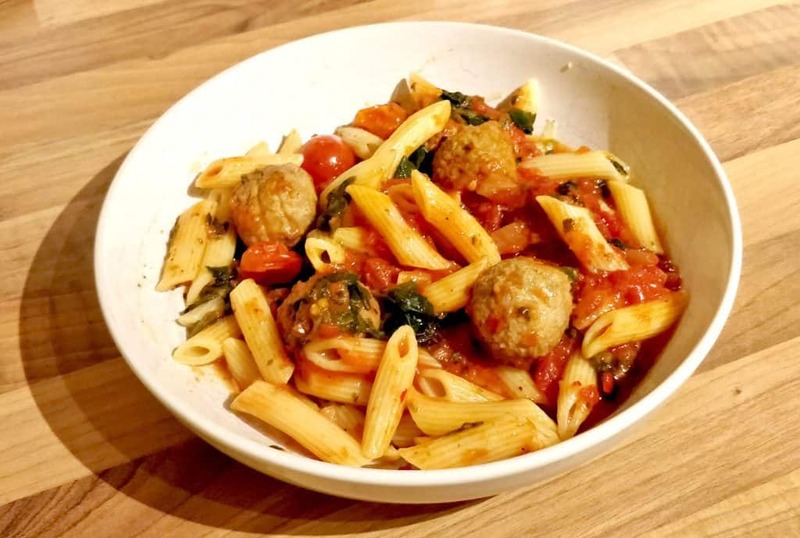 Would you try the Slimming World Meatballs & Pasta? Join my eight week weight loss challenge for free here. Thank you so much for stopping by! Find out more about my weight journey here. *I am not associated with any of the brands or products mentioned. All views, opinions and words are my own.